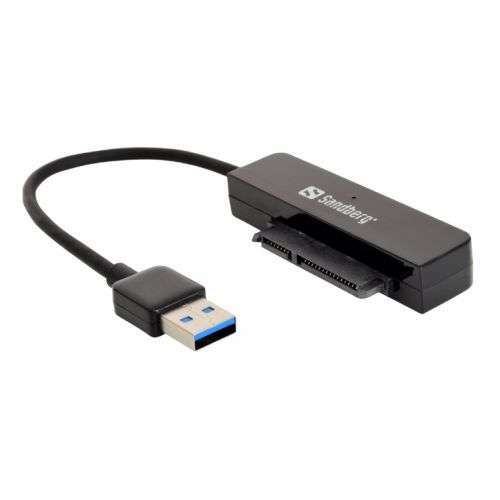 The Sandberg USB 3.0 to SATA Link allows you to connect a 2.5″ SATA hard disk externally to your computer. The USB 3.0 connection enables you to achieve impressive data transfer speeds of up to 5 Gbit/sec. This is ideal, especially when you want to move large amounts of data and carry out frequent backups.